A hands-on baking class. Alongside the tasting of baked goods, a seasonal salad will be served with wine and beer. We are excited to welcome author and illustrator Johanna Kindvall to our classroom! Visiting from New York, Johanna will guide students to master cinnamon and cardamom buns, the most iconic sweet baked goods in Sweden. Almost any Swede knows how to bake them and does so on regular basis. These sweet and comforting buns are essential when having fika, the Swedish coffee break. In class, you will learn how to bake this sweet dough into 3 different shapes with 3 different delicious butter fillings: cinnamon roll, the cardamom twists, and the braided length with almond paste. To pair with these sweet treats, Johanna will teach you a little savory fika. You will bake knäckebröd (Swedish crispbread) which is a perfect cracker for all kinds of cheese. 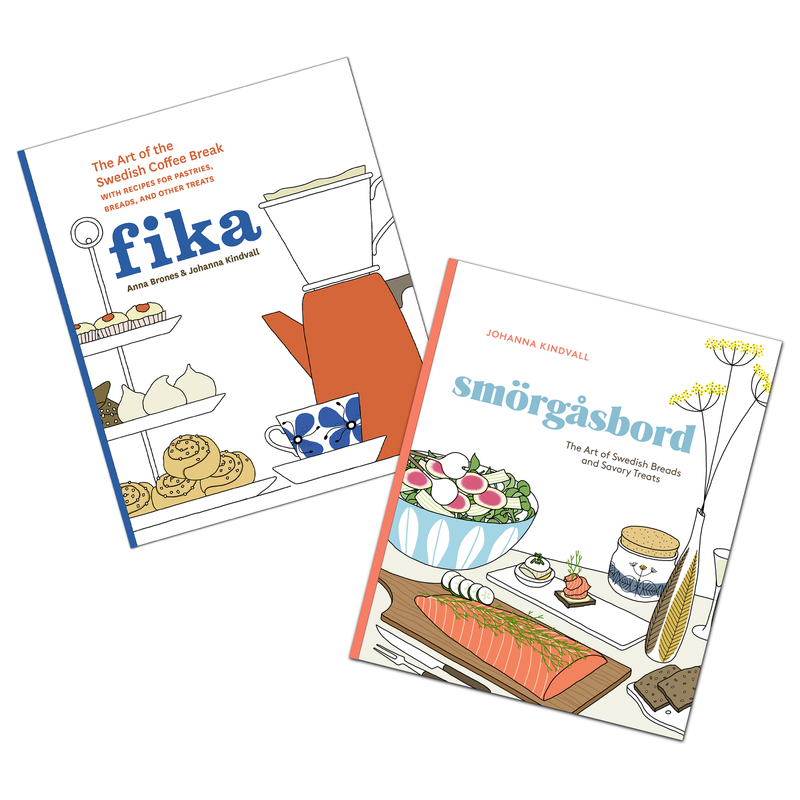 This class features recipes from her two books, Smörgåsbord and Fika, both of which will be available for sale by Omnivore Books. A seasonal salad (vegetarian) will round out the spread.